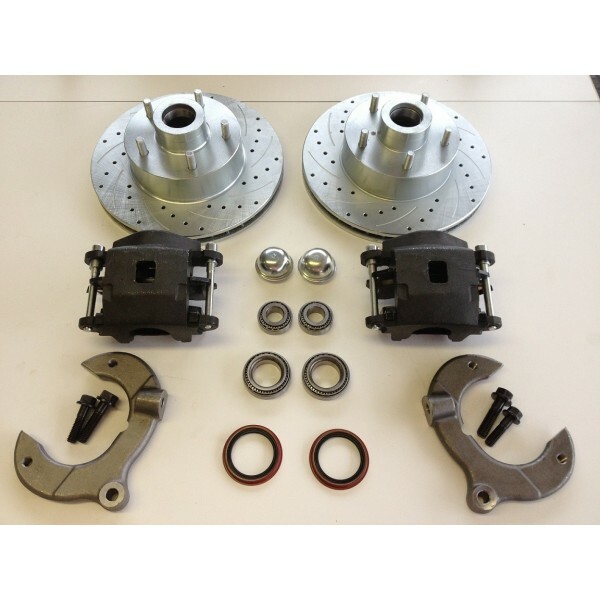 You are looking at the best complete 11" Mustang II disc brake kit available for your car. Whether you are working on an original Mustang II or a classic street rod or truck with a Mustang II front end suspension, this is just what you need to upgrade your front brakes. This kit features all brand new parts, nothing is used or rebuilt. Upgrade your small 9" rotors to BIG 11" rotors that are drilled and slotted to help the rotors disapate heat and cool faster and more efficiently. Not only will these drilled and slotted rotors help the performance of your classic, but they will also add that cool look to your ride that every hotrod needs. Our caliper brackets are the strongest available cast, one-piece brackets on the market and the caliper are BIG BORE giving you 20% more clamping force than the standard GM calipers. All necessary bearing, seals, dust caps, and mounting hardware are included with this kit! 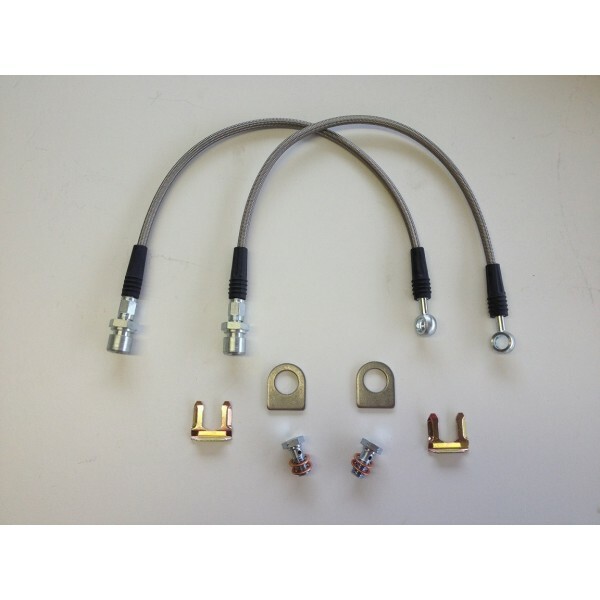 These parts will work with either stock Mustang II control arems or aftermarket tubular arms. Don't pay more for a lesser quality brake kit. 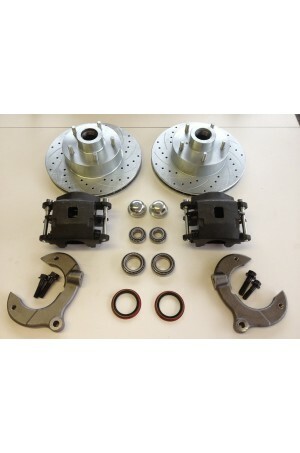 JPL's 11" Mustang II disc brake kit is the best available and exactly what you need!